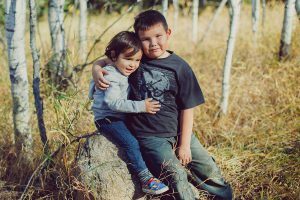 SITAG continues to support the delivery of on-reserve childcare programming through 24 Management Agreements with First Nation entities and will continue to do so, as long as the Initiative remains under the FNLMS. This includes funding for childcare operations, staff training and emergency repairs. The Federation of Sovereign Indigenous Nations participates in FNICCI by providing regional advocacy and second level support to Independent First Nation childcare operations. SITAG provides a vehicle for new Indigenous Early Learning & Child Care (IELCC) funds and has the agreement structure in place to reach and engage communities. In addition to supporting the maintenance of on-reserve childcare spaces, SITAG will adopt the horizontal framework of the IELCC to empower First Nation communities to enhance programming and exercise the degree of flexibility needed to execute local priorities and strategies. Below identifies First Nation entities, along with the number of communities served. The Federation of Sovereign Indigenous Nations (FSIN) has a Management Agreement with SITAG for the provision of second level services to Independent First Nations. The FSIN, in collaboration with Tribal Councils, developed a set of standards and regulations, which meets, or in some circumstances, exceeds the childcare standards of the Province of Saskatchewan. The Tribal Councils, the FSIN, and SITAG utilize these standards (and/or adaption of the standards) to monitor community programs focusing on aspects of facility safety and program quality. For more information on the FSIN structure see “Aboriginal Head Start On-Reserve Program and Childcare Initiatives”.